This week is a very bad week for the British sitcom. It's probably not the first week of its kind. And won't be the last of its kind either, sadly. But I think I'm right in saying that on terrestrial TV there is not one single new episode of British scripted comedy. None. I'm pretty sure there's not even a repeat. There are a few panel games (sorry, but they just don't make me want to throw my hat in the air). And some original American stuff (My Name is Earl on Channel 4) but nothing British, narrative and scripted. The sad fact is that the 'death of the British sitcom' is a self-fulfilling prophecy. Hopefully, I'll explain how below. In the 70s and 80s, there were plenty of sitcoms on TV. In fact, there often two or three a night across the three or four channels. Yes, even ITV made audience comedy - some of them brilliant, like Rising Damp and The New Statesman. Plenty of these sitcoms were forgotten, but that's not to say there were not worth making. Brushstrokes is a largely forgotten sitcom and not hailed as a 'classic' but it ran for five years between 1986 and 1991, and they made 40 episodes. I remember enjoying it immensely. It wasn't ground-breaking. Just funny - but that doesn't seem to be enough at the moment. And yet ultimately, that's all the vast majority of the audience really want. It seems obvious to point it out, but the people at home don't really care whether or not their favourite show is lauded by critics or wins awards. They want good characters, good situations and good jokes. That's why they still happily watch My Family. There are some obvious benefits to having lots of sitcoms on TV, even though most sitcoms aren't, in fact, much good. Even if they're well-written, they might be miscast. Even if they're well-cast, they might be poorly directed. I remember a highly respected colleague recalling the readthrough of Chalk, a sitcom about a deputy head teacher. He said the scripts were some of the funniest he'd ever read and it seemed like a hit, right up until the point they started making it and something went wrong. Failure rate is high - in sitcom and all other fields. Most new products launched don't last. (I've just tried Starbucks' new 'Seattle Latte'. I give it six months). Most films make a loss. There's no cast-iron guarantees in any business. As William Goldman points out, 'nobody knows anything'. So if a TV network wants a hit, it'll have to commission ten sitcoms, because at best, five will be dire, three passable, one okay and one brilliant. And it's further complicated by the fact that one of those ones that started dire could turn into something decent, and the one that's brilliant could be deeply flawed, or the writers will insist on only doing two series, because Fawlty Towers did that or some such pompous reason. Here is the big problem. Sitcom is very expensive. Commissioning ten of them is scary for any commissioner. But the problem is that if you only commission five, you might commission the wrong five. These days, it feels like they're only commissioning two or three and just hoping. What this does it put massive pressure on the few sitcoms that get through the system and make it onto the screen. As a result, new comedies are mercilessly reviewed and critics seem to delight in showing how much funnier they are than the show, and how basic the mistakes are making, not realising that often the people making the shows are very experienced and made creative decisions for a reason. And that sometimes it pays off, and sometimes it doesn't. The line between 'ground-breaking' and 'fundamentally-flawed' is very fine. The best any new show can hope for is to be quietly ignored while they work out what's going on and how to make it work. The writers of Peep Show managed to do with Old Guys, which could well turn out to be a huge hit. Outnumbered was overlooked until Series 2 when it was decided that is was a heart-warming, genre-breaking smash hit. The other problem with having fewer sitcoms is that the mistakes generate success. The BBC has spent the last ten years making numerous documentaries about how funny it used to be and how comedy was made in the 'good old days' - a system that has been replaced for no obvious creative reason. Dodgy, mythical nostalgia aside, if one watches this rash of documentaries, one will see how often decent actors were found even in poor or unsuccessful sitcoms, how writers, producers and directors learn from the process - and how a combination of a writer who is learning along with an actor who needs to be better cast can lead to a huge, popular hit. Recently, I heard a documentary about Silicon Valley and how it keeps reinventing itself, building successful companies on the failures of others. It's often the same people, doing something similar but they've learned the hard way and now have a hit on their hands. It's the same with comedy. For it to succeed, it needs commitment, and understanding that failure is not just inevitable but often has some upsides - and is part of the process. To the outsider, the process will seem immensely wasteful. But given that the rewards of success are very high, it really isn't all that different to any other business. And that is why this is a Very Bad Week for British Comedy. The less decent narrative comedy - and bad narrative comedy - there is, less there will be in the future. It does not bode well for us sitcom geeks. 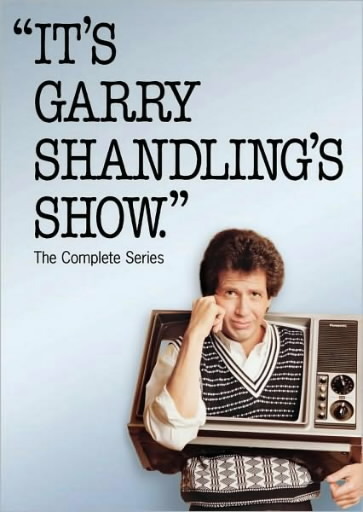 Over the last few days, I've seen a few episodes of It's Gary Shandling's Show. It ran for 4 years, and they made 72 episodes in total. In one sense, the show was before my time, beginning in 1986 when I was only 11. 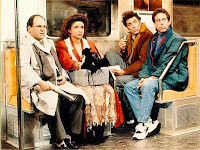 The show was a decontructed sitcom that broke the fourth wall, and played around with the cliches and tropes of sitcom. It was an anti-sitcom, pulling apart the format whilst playing along with it. At the age of 11, I was familiar with the sitcom format since I watched pretty much every comedy on TV as I grew up (hey, I had good parents, ok?! ), but I wasn't terribly interested in seeing them parodied. Plus, I don't remember it being on much in the UK, but I think it was at various times and at various points. As I watched the first four episodes, I was mindful that the initial impact was lost on me. The show came out in 1986 when there wasn't much smart, post-modern stuff like this around, and so there wasn't the buzz that you get watching something fresh and exciting. As you can probably tell, I was a little underwhelmed. I was surprised at how slow it was and how, on occasions, there were attempts at genuine emotion which struck me as a cheeky attempt to have your cake and eat it. 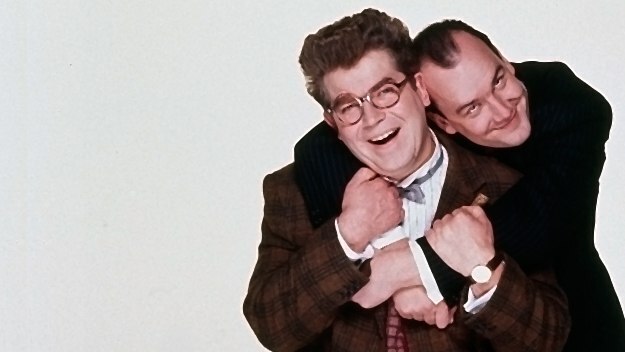 I was also surprised at how charmless and unfunny his male best friend was - and it made me crave Jason Alexander. I really didn't believe that they were friends. There is plenty of good stuff in the show. Some nice jokes and Garry's vanity is funny (and obsession with how his hair looks is funny). But having watched four episodes, I wasn't inclined to watch any more. My main problem with it is that lots of the jokes come from poking fun at the standard sitcom format. But that's so easy that it's barely worth doing. So why do comedians (and TV Critics) keep doing it? Sitcoms are contrivances. We all know that. We, the writers, know it. The studio audience know it. The viewers at home know it. We know that real life isn't that funny, and that coincidences don't happen that often and that our neighbours really aren't that wacky. It's a sitcom. So what's the joke? Deconstructing yourself is a trick that's very hard to pull off. I've been working on the BBC2 sitcom Miranda in which Miranda's character regularly talks directly to camera, breaking the fourth wall. But we have to use that device very carefully and not overstep the mark. There are one or two lines delivered to camera in the middle of scenes like 'This is a like a farce' but these jokes have a law of diminishing returns, and we often write them, feel better and then delete them before they get to the readthrough. In fact, more accurately, I write them, feel clever and smug, and Miranda deletes them - because she knows that the audience aren't interested in my feeling clever and smug. They want jokes and characters and funny situations. They have invested emotionally in the world that's been created and they don't want to see behind the scenery. Some might say It's Garry Shandling's Show paved the way for The Larry Sanders Show, which is undoubtedly a superbly crafted piece of work. In fact, it might be one of my all time favourites. But The Larry Sanders Show isn't deconstructing anything. It's a front-stage/back-stage character comedy. It's about relationships, real people and personas and the odd celebrity coming in and stirring things up. To me, It's Garry Shandling's Show is the Beta version of Seinfeld, which is a sitcom about a comedian, and a best friend and a neighbour - with a certain amount of 'material' to 'camera'. Seinfeld is smart and clever and really funny - and it subverts the sitcom format by superb characters and sheer originality. The plotlines are so brilliant, partly because they are frequently based on stories that you couldn't make up. (Watch the DVD and interviews with the writers frequently reference a story or event that happened to them or a close friend). And they are crammed into episodes that last about 21 minutes. Now that's hard. Why make swipes at a sitcom format that can reach the comic heights of Seinfeld and The Larry Sanders Show? Parodying sitcoms use of Surprise Birthday Parties, Having to Look After Someone Else's Child/Pet/Priceless Vase etc is funny for a few minutes, but it doesn't sustain. Why do that when you can create a Soup Nazi? Or have an episode waiting for a table at a Chinese Restaurant? Or The Contest? Why do people watch television? One of the reasons is to escape from real life. The problem is that truth is stranger than fiction. So when we create new worlds and new characters, we have to make sure that we're not reflecting a shadow or a pale imitation of the real thing to our audiences. Sometimes, sitcoms are criticised for doing exactly that. I seem to remember one or two shows recently being sneered at for making the situation how less funny than it should have been. We need to understand that real life contains characters who are larger than life - so large as to be almost unbelievable; parodies of themselves. These characters are captivating, enthralling and often extremely funny - because they're deranged, charismatic, infuriating and but likeable, and they are so inspiring, their followers will crawl across minefields for them. I was reminded of this when I watched The Damned United this evening (thanks Lovefilm). 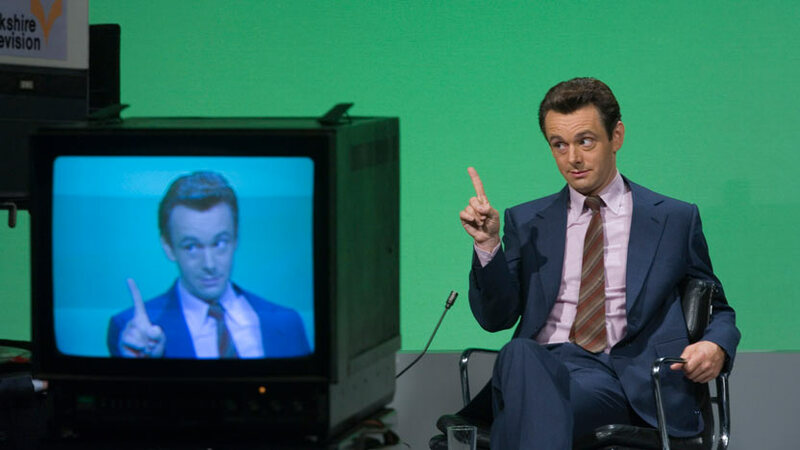 Michael Sheen's performance as Brian Clough is outstanding, and the film is beautifully written, directed and produced. It's one of the best I've seen in recent years. But let's not forget that Brian Clough is not make-believe, or a writer's invention. He was real. He really did do those things, say those things and irritate people in that way - and inspire love and deep affection in others. As I was watching the movie, I was reminded of a few other characters who are like this - two in particular came to mind; one is fictional; one real. The real character is Gordon Ramsay, who's persona is extraordinary. I watched almost every episode of Gordon Ramsay's Kitchen Nightmares, in which he would go into a failing restaurant and sort it out. He would be blunt, brutal and honest, and push people far further than they ever wanted to go - but it would be worth it. The other character is one of the great comedy creations of the last ten years - DCI Gene Hunt. Although this latest series of Ashes to Ashes has not been up to its sparkling normal form, Gene Hunt remains an unforgettable character with strong emotions, lots of energy and very good jokes. Characters are comedy. The Damned United has lots of good jokes in it, which are only funny because Brian Clough said them. It doesn't look that funny written down, I'm sure. But these large characters give you so much. Maybe we're frightened of them. Maybe we're too enthralled by nuance. Maybe we tell ourselves such people don't really exist - when we know that they do. In fact, I know someone just like Clough/Ramsay/Hunt, and he's a Church of England Vicar, surprisingly enough. Truth is stranger than fiction. So are we writing truth? In case my last post seemed a little negative and critical, here's something joyous and wonderful. I see that Channel 4 have posted large amounts of their archive on Youtube, including this one treasure that had a considerable effect on me, Mr Don and Mr George. It was a spin-off series from the sketch show Absolutely, and starred Moray Hunter and Jack Docherty, who also both wrote it. The show was transmitted in 1993, when I was about 18 (and a serious comedy geek). I totally loved it and the show demonstrated to me what was possible comedically in the modern era. Pythons, Goons and Goodies are all great, but they were all some time ago (even in 1993). I wanted something that was positive, genial, silly and knock-about. And I found it in Mr Don and Mr George. Lots of wordplay, daft, self-defeating conversations and surreal turns. The plots made sense, but it wasn't about the story - much more about the gags. Perhaps this was the problem with the show (though not for me) and why it never quite got a big enough audience. That said, I seem to remember it was scheduled for Friday night at 10.35pm - and this sort of comedy never really seemed suited to the slot (although Paul Merton had had some success in that slot a few years earlier - when Paul Merton was a superstar and was on Have I Got News for Your wearing a T-Shirt saying 'Turn over at 11'). It's worth nothing that Mr D & Mr G, this much forgotten jewel, was broadcast two or three years before Father Ted and, I believe, paved the way. I'd be interested to hear the views of others on this subject. I taped the episodes off the TV onto a VHS back in 1993, and then a few years ago scrubbed them by mistake. The realisation I'd lost them was awful at the time, as I was pretty sure they wouldn't be re-released on DVD. And they haven't been. But they are on Youtube. Joy of joys. Go see. I know that Bellamy's People is not a sitcom, and therefore slightly out of the range of this blog but there are some lessons that do carry over, since Bellamy's People is, ultimately, a character comedy. And I was surprised to learn that the BBC have not recommissioned it. Why was I surprised? Because it's studded with top comedy talent and the critics that I read seemed to love it. And sometimes, one feels, the BBC bloody-mindedly decide to recommission a series in order to prove the first series was not a failure or a mistake. That said, I can't think of that happening recently. The Persuasionists received very short shrift from BBC2 and was demoted twice during it's run. Perhaps also I thought the BBC would want to keep Whitehouse and Higson onside since they're clearly people the BBC want to continue working with. This is understandable, although a very expensive way of going about it. There a few points worth making at the outset. And this is why analysing the failures of the mighty is worthwhile - because their talent is not in question. If one watches a new show from a new writer or team, one might think that the author has failed because he or she doesn't know what he or she is doing - and doesn't know how to write jokes. This is not the case with Higson and Whitehouse, who have been responsible for some of the great comedy characters in recent British comedy history. Their record speaks for itself. The show also includes lots of high-quality actors and actresses, including Lucy Montgomery, with whom I've worked on Milton Jones, and a failed sitcom on Radio 4 called The Pits. Lucy is probably the most talented voice-artist I've ever worked with. Comic talent is not the issue. So what is? Firstly, was the programme a failure? In terms of ratings, yes. The plain fact is that people didn't really watch the show even though it was trailed quite heavily and reviewed in every newspaper, often favourably ('Sensationally good' - The Times) (which further demonstrates how hopelessly out of touch the critics are from their audiences). But by the end of the eight-part series, I believe the viewing figures were below 900,000, which, for BBC2, is simply not enough - especially when one bears in mind how much the series must have cost to make. And now the show has, apparently, been cancelled. 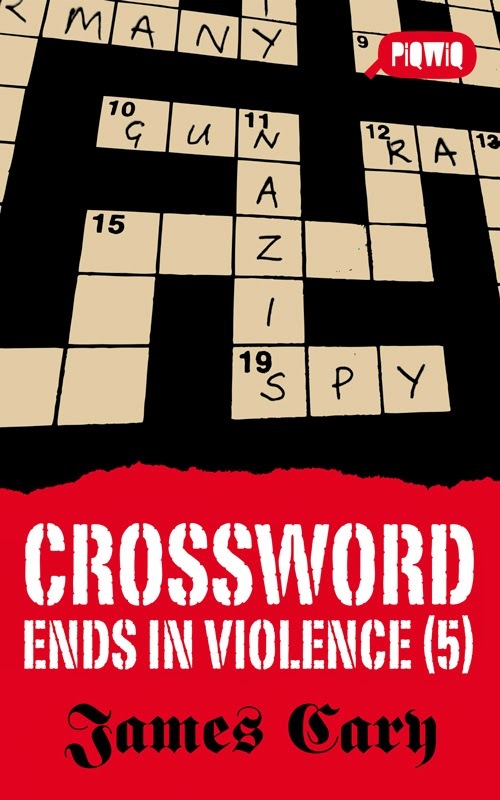 Charlie Higson is, understandably, furious, according to his tweets. But what can we take away from this show? It's worth asking the question 'Why didn't people watch the show?' The figures started low, but they could have climbed. Why didn't they? Having seen one or two, why did lots of people decide not to watch three or four more? Why didn't people tell their friends to watch it? Sorry to labour this, but it really does matter (in the context of this blog). My own experience was this: When I watched it, I felt rather confused - and for the first few minutes wondered when the show was going to 'start'. And then it just kept on going as it was (I had the same experience watching Green Wing which, for me, felt like a trailer for itself), cutting from one character to another without any kind of storyline or spine. Higson or Whitehouse may argue that The Fast Show has no story, being a sketch show, but Bellamy's People, it turns out, did need one after all. The individuals characters had stories to tell, at times, but not every time. And ultimately, I wasn't hooked, which made me cross as I really wanted to like it. But I think the main problem is that I didn't know what I was watching. Is this a format-spoof? A sketch show? What is it? The radio show, Down the Line, was simple since it was a near-the-knuckle parody of radio phone-ins. The premise of Bellamy's People, however, is rather curious and comes at the beginning of each show - Bellamy is telling us he did a radio show and now he's going round the country meeting all the people who used to call in, and find out what they think about different issues. Eh? Seriously? A radio DJ going round interviewing members of the public about issues doesn't happen in real life. So it seems odd to chose that as a basis for a comedy show. Some would challenge that last statement and say 'Why be conventional? Why should the show be a parody of an existing format?' It doesn't always have to be, but it almost always should be, in this case at least. Comedy is hard because it depends on surprise and subversion, but also on not surprising or subverting things in other places. The audience needs to feel at home and comfortable - or at least like they know what's going on - before you pull the rug or throw them a bizarre character. And that was ultimately the problem with the show for me. As Bellamy was interviewing these people, I couldn't helping asking myself 'why is he talking to this person?' and 'what is he hoping to get out of it?' and 'does he think they're mad?' and 'Am I meant to think that Bellamy is bad at his job?' and 'Why is Bellamy not really in this show?' I'm sure Higson or Whitehouse would yell at me for being such an idiot and asking such stupid and facile questions, but that was my experience when watching the show. And these are the questions that prevented me from enjoying the comedy performances and the jokes. One of my big mantras in writing comedy is 'Confusion is your enemy'. The audience need to think everything is fine before you play with their heads and hit them with a joke. (it's why you try to leave the funny word of a joke to the end of the sentene). Maybe the format confusion ultimately drove people away from the show - or at least stop people from taking it to their hearts. I don't know. But it did in my case. And looking over the reviews, many of them said 'the format doesn't really work but at least the jokes are funny'. Turns out that the format not really working makes quite a big difference to non-reviewing audiences. As I was watching Bellamy's People, I was reminded of People Like Us, which was a show that I first stumbled across on radio in about 1996 and couldn't get enough of. And then it turned into a wonderful TV show. People Like Us managed to give the impression of being nothing but a slightly tepid fly-on-the-wall documentary, but it drew you in and then gave you far better jokes, characters and ideas than you ever expected. Bellamy's People may have had all of those things, but I couldn't get past the format, my confusion and all my silly questions. I don't think it's just me those. Those chaps at the British Comedy Guide seem to feel the same way. If you don't believe me, have a look here. The problem is with comedy - or one of the problems - is that everyone has an opinion. Because our great sitcoms are cherished so deeply, and our sitcom heroes are national icons, everyone feels that they can 'give notes'. This is a good and bad thing. Mainly bad. When you're starting out, you get friends to read the scripts, because they're the people you know. But TV scripts are hard to read. It's not like reading a novel. Scripts are in an unfamiliar format and unless you do it regularly, it's hard to know what you're looking for. It's even harder to pinpoint why a script doesn't work. And let's face it - if it's your first script it probably doesn't work. (Most first draft of any script don't really work, no matter how experienced you are) Then, there's the business of honest feedback. Is a friend really going to give you that? And if they do, will they even be right? Once you progress from the bright-eyed-and-bushy-tailed stage and end up in the bleary-eyed-and-cynical stage, it can be easy to treat all notes and feedback as an imposition, or as stupid, ill-conceived or predictable. There are lots of stories by writers like Rob Long who extract great comedy from the notes on scripts they are given by network executives who've never actually made a show of their own, and always want the show to be bland or resemble their last hit show or whatever. But one might be making a mistake if one treats this is as the norm. Just as it's a mistake to treat all advice as equally good, it's just as much a mistake to treat it all as equally bad. Once writers get a bit of success and begin to progress, they/we start to think they really know what's going on and how to write and that no-one can improve on their script but them. It's worth remembering that the path to success is not pursuing one's own creative vision without listening to advice - but listening to the right advicel listening to advice that makes your work better. And we should take such advice from wherever it comes. I was reminded of this the other day when I had a meeting with someone fairly important in comedy at a major broadcasting corporation. Before the meeting, I braced myself for some comment or note that would either indicate the executive wanted to turn the show into a different show (one that I really didn't want to write) or that he would make a comment that I would have to take on board that would make the show worse in some way. Or worse, he would betray the fact that he hadn't even read the script. But my prejudice was ill-founded. The humble exec in question kept himself to making one very good overall point about my script, and explained why he thought what he thought. And I had to admit to myself - "Darn it, you're right". Of course I'd be an idiot to ignore his advice because he's important and I want the show to progress and I kind of have to do what he says. But in actual fact, I should do what he's says because he's correct, and if I do it, the show will be better and an improved version of the show I'd like to write. It pays to listen to advice. It takes discernment and experience to sift out good advice from bad, but when you find a good piece of advice, don't be too stubborn to take it. What the Hell does He know? 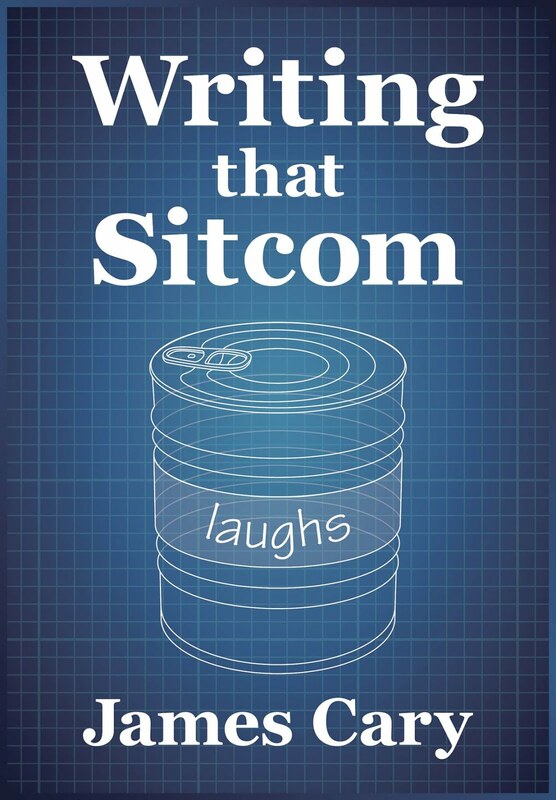 Some readers of this blog may be wondering what on earth qualifies me to talk and write about sitcom. For a sample of my work, BBC7 are repeating Series 2 of Think the Unthinkable, a sitcom I wrote a few years ago about management consultants going into companies and wrecking them. 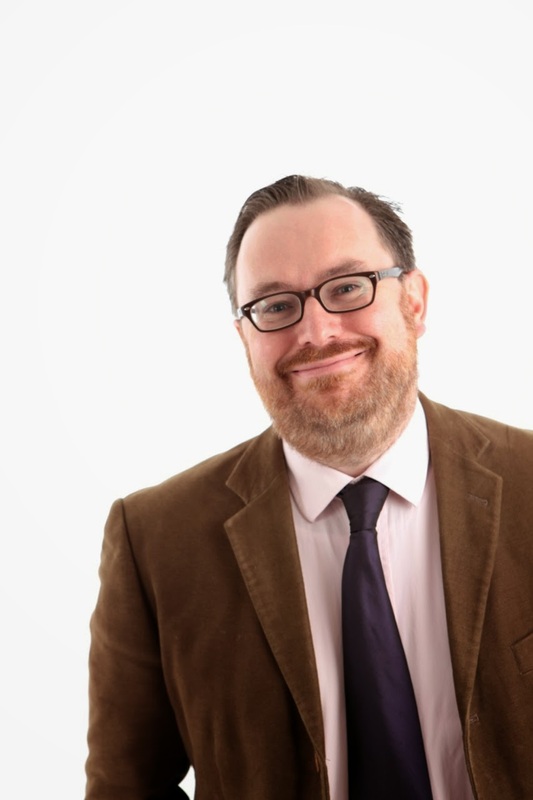 I was sad and a little astonished when BBC Radio 4 decided to cancel the show after four series in late 2005, since Marcus Brigstocke and David Mitchell seemed to be in the ascendancy, had never had a bad review and won a Silver Sony Award. I was very much looking forward to writing a fifth series (and still would like to!). But the writer must accept his lot and be grateful he doesn't have to lift heavy boxes for a living. It was the cancellation of Think the Unthinkable that led to my coming up with Hut 33, which has run for three series so far. Anyway, do have a listen to Think the Unthinkable here. You buy Series 1 on Amazon too here.